Mar 16, 2016 All of our special promotional packages are based on availability. On certain peak travel seasons (such as Christmas / Easter / Spring Break) the promotional packages were no longer made available at this hotel. We contacted you the day after you booked and relayed this unfortunate news. You told us you were not flexible to change resorts or travel dates and agreed to give us 1 week within which to request an exception from the resort and have your reservation confirmed. Three days later you called and demanded that your reservation be cancelled and refunded. BookVIP immediately processed the cancellation and refund. 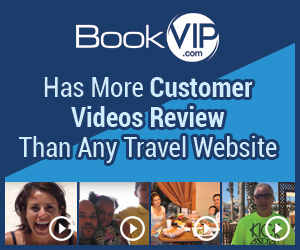 On 3/10/2016 my daughter and I booked a vacation with Bookvip with vacation dates of 4/18/16-4/23/26 at a certain resort; we paid over $612 for those dates at that resort; we booked by phone to make sure those dates were open; the next day my daughter got a call from the company and they said those dates are all sold out and we had the option of staying at another resort that was basically a dump or change our travel dates; we said no to both as neither was acceptable to us; our flights are paid for and our vacations at work are during that time; they still charged my credit card for the amount of the reservation that they say is fully booked and they can't accommodate; I only authorized them to charge credit card for that resort and for those dates; I asked them to cancel the reservation ( even though why would I have to cancel a reservation that doesn't exist because they overbooked) and on each phone call we made back to them they want us to call back after next Wednesday; I'm not ***; that happens to be after deadline to cancel with no charge; the phone rep said it takes weeks to months to get a refund. BULL!!! As fast as you can charge my card, you can credit it. This was fraud. I only authorized them to charge for that trip and even though they say it's sold out, they charged my card anyway. I called my major credit card company and explained what happened and that we need that money to book our trip. The credit card company agreed and attempted to make a three way call with them to get them to agree to s credit immediately so she could reverse the charges but all we got is the long period of being on hold and then call got dropped. We are going to try again on Monday. What this place is doing is fraud. They charge your credit card vacations even though they know aren't available. Review #808705 is a subjective opinion of Julie2016.